We thank our many members for their support. Please note, as our membership year begins in the new year, we encourage all Skerryvore ratepayers to join/rejoin the SRA early in 2019. This will ensure that you receive your spring mailing and notification of up-coming events. 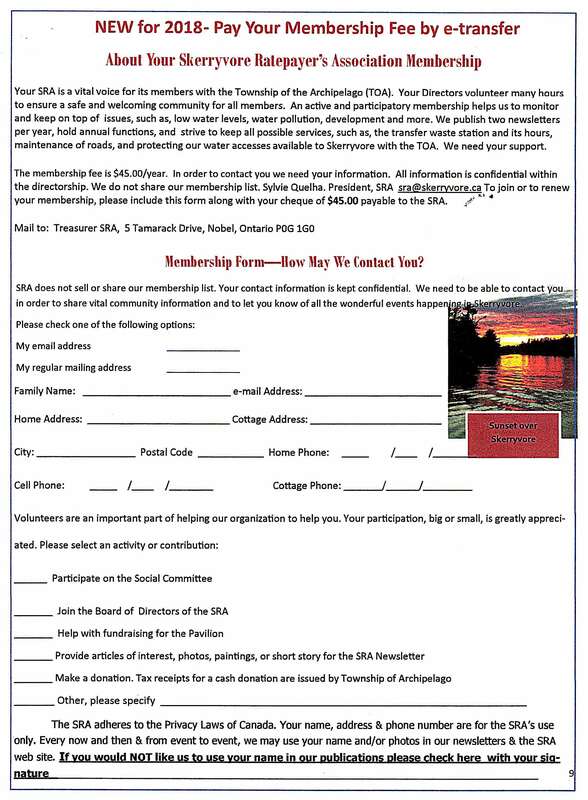 Note that you can fill out the above form using your computer and print it out prior to mailing it into us.